Dr. Segal of My Bodyworx has been in the health and wellness industry for his entire 18-year career. Since graduation, Chiropractor of Delray Beach, Dr. Segal, has trained thousands of practitioners all over the world, been on CBS news, and is a nationally recognized speaker on adding stress reduction, nutrition, wellness, spinal correction and exercise programs into practices. Dr. Segal graduated from Syracuse University, Syracuse, New York in 1994 with his Bachelor’s degree in Pre-med Nutrition and then went on to graduate from Life University, in Atlanta GA, as a Doctor of Chiropractic in 1998. Throughout his school years, he owned and operated his own personal training and nutritional company. Once he graduated and began to practice Dr. Segal helped design and create New York Sports clubs first personal nutritional programs. I’ve been very, very fortunate to be a consultant in the chiropractic industry. I’ve taught medical doctors, chiropractors, podiatrists, all over the world on how to take care of their patients, how to exercise, and how to provide proper nutrition for all their patients as well. Dr. Segal for the last 18 years as a consultant has trained thousands of Practitioners worldwide on how to keep their patients healthy through proper diet, nutrition, and exercise. As a Father of 3 young children, he decided to stop consulting and traveling to start building his private practice in Delray Beach, FL, My Bodyworx. 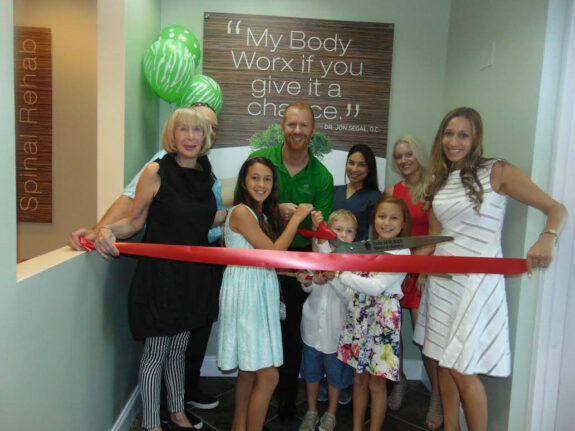 My Bodyworx in Delray Beach, Florida is a state of the art Health Spa and Chiropractic facility designed to help patients achieve their optimum weight and health. This is done by educating them on proper nutrition, health, and spinal correction. For more information about our Chiropractor Delray Beach please call us at 561-609-1457 or e-mail us at info@mybodyworxfl.com. You can also visit us on Facebook.